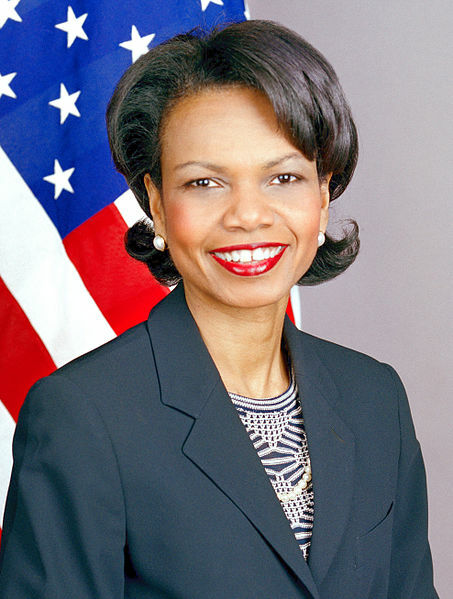 Former Secretary of State Condoleezza Rice joined a long list of politicians—including both Mitt Romney and President Obama—describing education as the “civil rights issue of our day” in her speech at the Republican National Convention Wednesday night. Describing the “crisis in K-12 education” as a “threat to the very fabric of who we are,” Rice spoke of the need to get great teachers into schools as well as to expect more from students. “We need to have high standards for our kids because self-esteem comes from achievement and not lax standards and false praise,” she said. Outside of Rice’s speech, education was mentioned only peripherally during a night focused again on America’s economy. When education did come up, most speakers addressed college—its rising costs and the job prospects for its graduates. “College graduates should not have to live out their 20s in their childhood bedrooms, staring at their faded Obama posters,” Vice Presidential nominee Paul Ryan said. Michelle Voorheis, a family-business owner interviewed “backstage” at the convention, spoke of her financial worries, which were amplified by the fact that she just sent a son off to college.